Intersekt festival has the honour of having Chloé James as MC during the main event Collab/Collide Summit. Chloé James is the Group Media Director for global intelligence and digital media provider, RFi Group and a Broadcast Television Presenter for Sky News – Business. This Q&A seek to find out what Chloe has been up to in her recent travels around the world at different fintech events and why she is looking forward to the summit. What international fintech events have you recently attended and what have been the key themes at these events & what has been your role at these events? I was honoured to attend and participate on stage at Sibos in Toronto (16-19 October), including Innotribe (SWIFT’s initiative to enable collaborative innovation in financial services), and Money2020 USA in Las Vegas (22-25 October). At Innotribe – as a part of Sibos 2017 – I moderated a panel session titled ‘Fintech, a sound investment strategy, or would you be better putting it all on red?’. During this session we debated whether investment in Fintech itself is a sound strategy and why we should or shouldn’t be investing and engaging, or, if it is an area that is now moving towards, as the Chairman of Alibaba Group, Jack Ma coined “TechFin”, that is technology to help rebuild financial services. Although there were of course arguments for both sides of our ‘Hot Topic’, my outcome of moderating this panel was that of fintech is of course a sound investment strategy. Overall, we agreed that investment in fintech is essential and shows no signs of slowing down, yet is in fact, the future of financial services as we know it. At Money2020 in Las Vegas I MC’ed the Commerce Track and as a part of the Main Stage keynote interviews, facilitated a discussion with Thorsten Wölfel, the Head of Payments and Operational Excellence for Adidas and Sebastian Siemiatkowski, the co-founder and CEO of Klarna, Europe’s main e-commerce payment solutions providers – a huge success story. MC’ing the Commerce Track of course brought Retail to the fore – a huge focus area for anyone working in the fintech and payments space, as well as AI, biometrics, digital identity being huge themes and topics of discussion for all. Another theme was the concept of ‘predictive purchasing’ which I loved. All about the IOT and technology making our lives easier. What is your role at the RFi Group and Sky News? I am the Group Media Director and Editor of the Australian Retail Banker and Global Retail Banker, for global business intelligence and digital media provider, RFi Group. I manage media relations and corporate affairs globally, the global event program and production of the Global Retail Banker (https://www.rfigroup.com/global-retail-banker/home), Australian Retail Banker, The Asian Banking Monitor, UK Retail Banker and Canadian Banker, with a global subscriber base and monthly reach of over 50,000 unique readers. I conduct and author all Thought Leader interviews and host RFiTV and created, conduct and produce a global Women in Leadership series – a subject close to my heart. 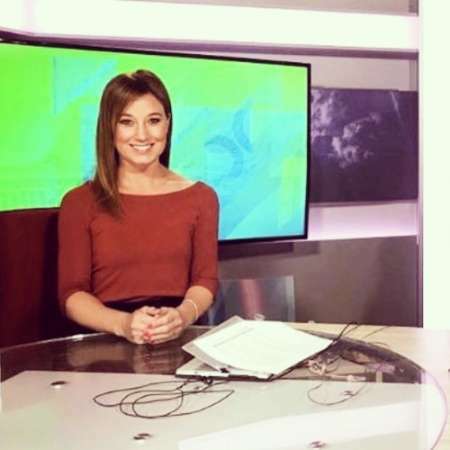 I am also a Broadcast Presenter for Sky News – Business programs ‘Business Success’ and ‘The Entrepreneur’s Masterclass Series’, which air nationally and cover the entrepreneurial spirit of successful business owners. The interview style format offers advice and insight into creating new ideas, building business and giving guidance as to what it takes to do so successfully, across a variety of industries. I started my career as an Actress, studying my honours degree at South Australia’s prestigious Drama Centre, while hosting nationally broadcast lifestyle programs on the ABC in Adelaide. I moved to Sydney in 2004 and continued acting for some years – stage and screen – (and working in hospitality – goes with the territory!) before – to be honest! – falling in to a position with the Australian Securities and Investments Commission (ASIC) in their International Strategy division. I loved the energy and pace of financial services, the intelligent, very senior people I had close contact with in this role and global opportunities it provided right from the start. I moved to a position in the Press Office at the Financial Services Authority in London in May 2008 (…you do the math) during an unprecedented time in banking and FS. It was exciting, dynamic and I learnt a great deal. I have always been passionately “fair” and enjoy regulation and what it stands for; protecting the consumer from the world and themselves. I still feel very strongly about doing what is “right” and the role the global financial services industry plays in people’s lives. I returned to ASIC in Australia in 2011, before starting with RFi Group in 2012. I love what we do at RFi Group and what we stand for and with the exposure to executives I was dealing with from a research perspective, began filming interviews and on-stage MC/ moderating duties, basically coupling my original love of performance, with my FS knowledge and expertise. What are your views on the Intersekt festival and Collab/Collide summit? I think the Intersekt Festival is a fantastic opportunity to provide a stage for some of the great fintech work coming out of Australia and I would love to see the attention on FinTech grow in this country. Fintech – to me – is the most exciting area of FS at the moment. In the last 12 months RFi Group’s research has witnessed incredible fintech usage growth from 0% – 5% so, although coming off a low base, it is really, significant. Five years ago in Australia, we saw very similar statistics in Contactless (0 – 5% in 12 months) and now five years later we’re at 70+% usage. It’s massive. A huge saturation. As far as an industry that is evolving and maturing our latest Global Digital Banking Survey and Report – something we have run every 6 months since 2012 – is also showing some pretty startling statistics when it comes to digital – and therefore, to fintech. In the edition that came out just a couple of months ago, in the last 12 months alone our research has seen a 20% increase globally amongst consumers who are “comfortable with the idea of a digital-only provider for their financial services” which is up from 60% to 80%, globally. Again, in the last 12 months we’ve seen stratospheric growth in the usage of fintech services and providers – in most markets its somewhere between 300-500% growth in just 12 months. In an ambitious move by the NSW government, Sydney is about to see the conglomeration of 2,500 entrepreneurs who currently make up co-working spaces Stone & Chalk, Fishburners, Tank Stream Labs, and creative industries specialist; The Studio – to together form the Sydney Start up Hub. The hub’s four tenants are all established co-working spaces, who will relocate and create what can only be described as an entrepreneurs Powerhouse, with Fintech, right at the centre. Fintech – really is, where it is at. What are you hoping to bring to the summit? What I hope to bring to everything I am involved in, and what I hope everyone attending the Summit will come with – An open mind, energy, enthusiasm, curiosity and a thirst for insight and learning. The event is bringing together leaders with an abundance of knowledge, from a variety of backgrounds and I hope people listen intently, learn a lot, ask questions and get involved. Intersekt is just the kind of environment where I hope to act like a sponge and soak up everything I can. I hope everyone else does the same and I can’t wait to help facilitate that.